meter-board is our reference solution for measuring energy consumptions. This device provides seven inputs for current sensors and three inputs for electric/water/gas meters capable to provide electric pulses. Meter-board acts as any other wireless device in the panStamp ecosystem; it can be configured and read wirelessly from any node or computer connected to a panStick. Current sensors need to be clamped to one of the AC wires. Depending on the readings provided by the device, you will maybe need to switch to the other wire in order to match the correct phase. Phase mismatches typically produce very low power factor readings. 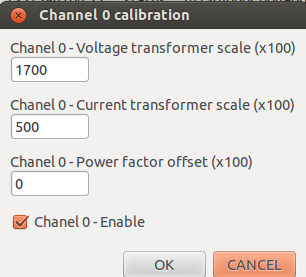 We also need to enter the scaling factor for the voltage transformer. The board has a unique voltage transformer but we need to enter this scaling factor for every current sensor input. Voltage transformers supplied by panStamp have a scaling factor of 1745, being this the factory default for the AC current inputs. 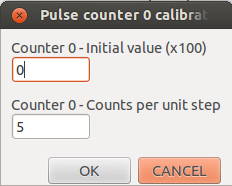 Pulse inputs have different configuration parameters. Initial value has to be filled with the reading appearing in the meter display. This value will be taken as a starting point where to count consumptions from. “Counts per unit step” is the amount of steps to be counted before increasing the reading one unit. 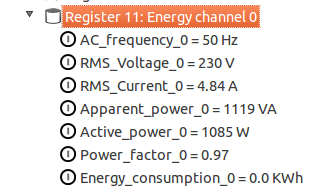 RMS Voltage: AC voltage, RMS value. Apparent power: apparent power being consumed, in VA. Active power: active or real power being consumed , in watts. Power factor: Power factor of the AC load. 1 for resistive loads, 0 for reactive loads. Energy consumption: energy consumed in KWh.